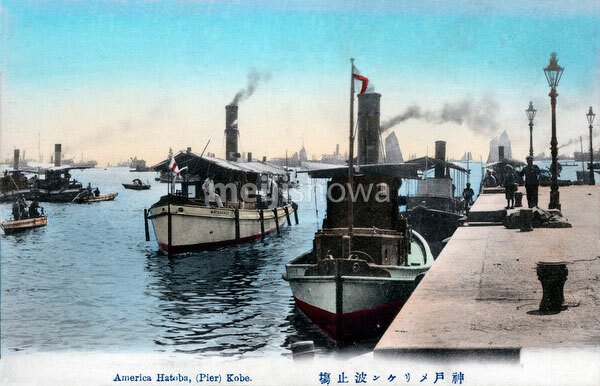 Harbor launches at the Meriken Hatoba (American Landing Pier), for many years the main pier in Kobe. As the harbor developed, Meriken Hatoba lost its importance as place of entry and in 1987 the pier finally vanished as it was incorporated into Meriken Park. Incidentally, Meriken is the local pronunciation of American.